Forward-looking: As technology becomes increasingly advanced, more breakthroughs are being made in the medical world. We’ve already seen 3D-printed rib cages and corneas, as well as people being able to walk through the power of harnessed brainwaves. Now, a prototype of the first “smart” prosthetic ankle has arrived. Despite many improvements over the years, prosthetic limbs still struggle when it comes to imitating the real thing. 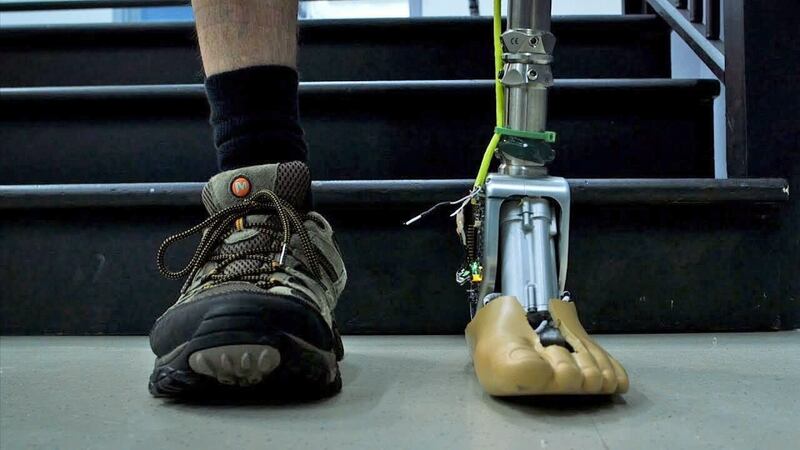 Prosthetic legs, for example, can prove challenging for users when tackling stairs and rough terrain as they don’t replicate the motion of the ankle. Michael Goldfarb, a mechanical engineering professor at Vanderbilt, has come up with a solution. His prototype smart ankle features a tiny motor, actuator, sensors and chip inside the joint, all of which work together to regulate each step. It “first and foremost adapts to what’s around it,” said Goldfarb. He added that users would be able to walk up and down stairs and slopes and that the ankle "figures out what you're doing and functions the way it should." Mike Sasser, who lost the lower part of his left leg in a car accident, has been testing the prosthetic. "I've tried hydraulic ankles that had no sort of microprocessors, and they've been clunky, heavy and unforgiving for an active person," he said. "This isn't that. It actually lifts the toe for you. There's a definite market for this." The device still runs on wired power, so it still needs more refinement over the next couple of years before it’s ready for the commercial market. You can find out more at the Center for Intelligent Mechatronics.